BLAKE Ferguson wants to make two things clear. Firstly, he hasn't joined Parramatta to be the new Semi Radradra. "Oh no, Semi is a beast," Ferguson grinned. But don't fret Eels fans - Ferguson means business because he insists he has become a leader thanks to the mentorship of Cooper Cronk. Asked how influential his former Roosters teammate has been, he replied: "Heaps. Cooper knew I was a bit loose, so he has been good for me. "I took a lot out of last year with him, more so than previous years when I met him playing together for Australia. "Maybe I was ready to learn and I was mature enough to actually take in information. "But Cooper has been awesome for me. He has done it all, so I'm trying to learn as much as I can from people regardless of their stature in the game." Ferguson is Parramatta’s marquee purchase. Picture by Benjamin Cuevas. Being a role model was a major reason why Ferguson decided to join the club on a three-year deal. 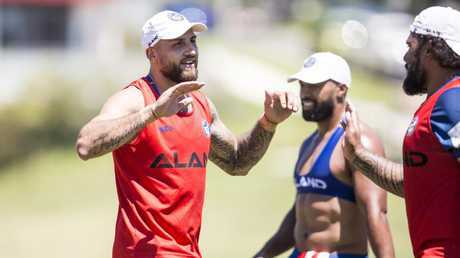 After learning from some of the best leaders in the business at the Roosters, he feels like he is ready to take the next step as a senior player. "I want to make the players around me better," he said. "Brad (Arthur) and I spoke about that in our first meeting. "It was about coming here and trying to lead the younger guys in our top squad. "Some of the guys have only played a handful of games, so for me it is about giving them some of my knowledge over the last 10 years and try and make them better people and players. "It is also about giving the Eels something they needed, which is something out of the back field and a bit of experience." The new Eel is coming off the best season of his career. Picture by Benjamin Cuevas. 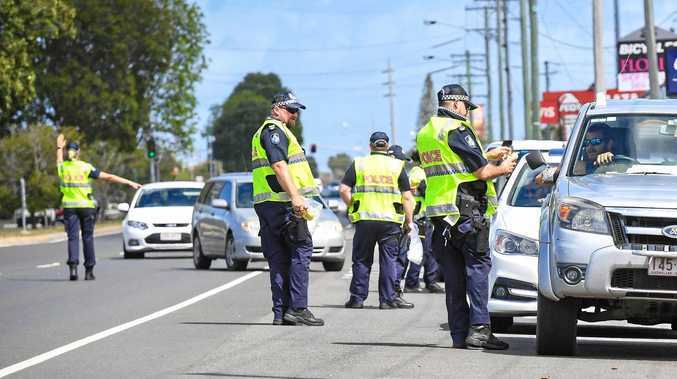 Ferguson has only been at Parramatta for a week but he has already made an impact. 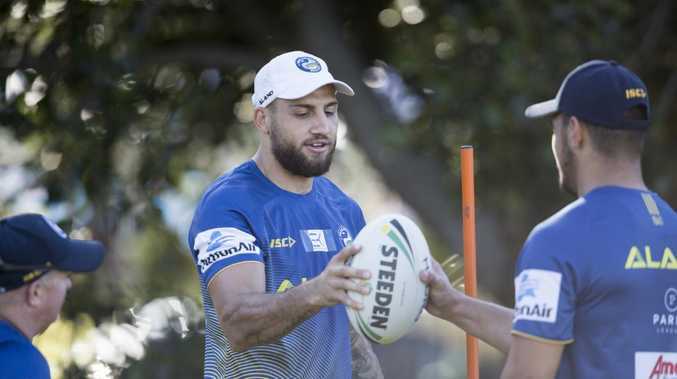 Eels prop Tepai Moeroa believes the former Rooster can have a Radradra-type influence on the Eels with his tough carries coming out of trouble. 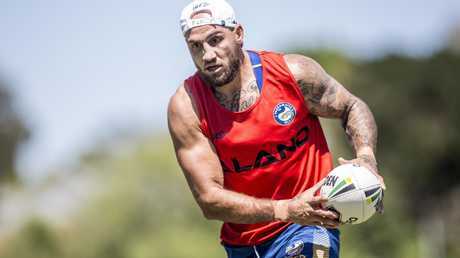 "We've definitely missed that - Semi was one of a kind," Moeroa said. "He'd catch the ball on our tryline and run 100 metres. "But Fergo does the same sort of thing. He takes those tough carries and he is really strong. "He is also really positive and it is just with the little things. "The ball will go left at training and he'll tell you to keep pushing over because you never know when a break might come. "I think that just comes with experience. He has played with the best and he knows the game really well." 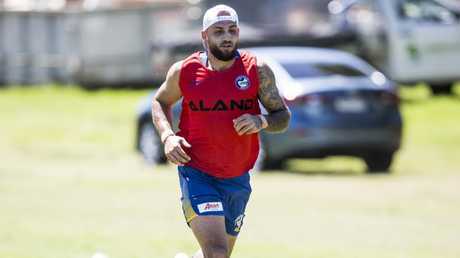 Parramatta coach Brad Arthur has also been impressed with Ferguson's first week in Eels' colours. "You can already see the quality that he brings to the team around his football," Arthur said. "But it is also his enthusiasm and talk. "We have never been a bad training team but he has raised the bar this week, especially with his talk with the young players and making them confident and like they belong. "If we go on form, he (Fergo) was the best player in the game and we need him to make sure he replicates that form next year and it starts with his training." Ferguson led the NRL in post-contact metres in 2018 with 1811, placing him ahead of North Queensland's Tongan wreaking ball Jason Taumalolo. As for a return to the NSW Origin ranks after being overlooked for this year's series, Ferguson remained coy: "We'll see what happens there. Obviously I've got to make a decision there. "But we'll see what happens. It is up to them, it is up to me. "I'm the one that plays footy and I thought I played pretty good last year."